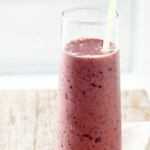 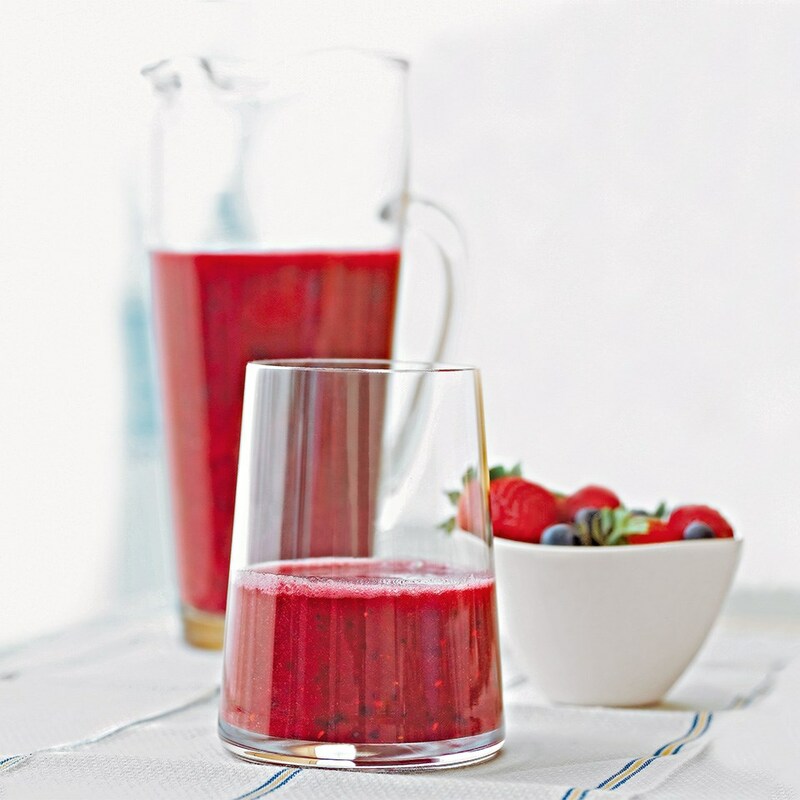 In a blender combine strawberries, cherries, raspberries, pomegranate juice, and blueberries. 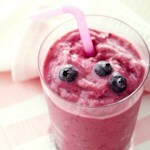 Cover and blend until almost smooth. 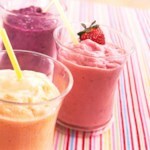 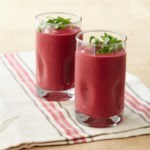 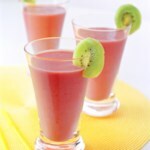 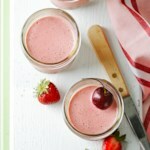 Tip: If using fresh cherries, chill all the fruit; if using frozen cherries, they will make the smoothie cold.